Pennsbury Manor welcomes one and all to celebrate the birthday of Pennsylvania for FREE. Spend the afternoon with William Penn and the people of Penn’s time and enjoy the sights and sounds of 17th-century daily life. 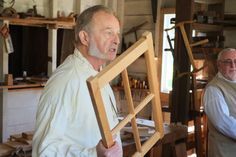 Colonial craftspeople, dressed in period clothing, will be demonstrating blacksmithing, joinery, and beer brewing. A wonderful display of 17th-century foods will be offered by the cooks, who will be on hand to explain the process of open hearth cooking. Take a tour of the Manor House with costumed interpreters and stop and see the role-players reenact “Voyage of the Welcome,” the voyage of 1682 when William Penn and other prospective colonists traveled to Pennsylvania on a ship called The Welcome. Charter Day is a fun day filled with activities for the entire family and it’s free. 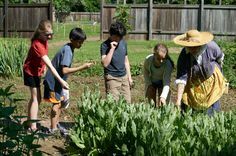 During the Charter Day event, Pennsbury Manor will be holding a food drive to benefit the Bucks County Housing Group’s Penndel Food Pantry. Bring along a non-perishable food item and receive a 10% discount for shopping in our Museum Store good for Charter Day! If you bring more than 5 lbs of non-perishable food you will receive 10% discount in our Museum Store good for Charter Day shopping AND a limited time gift!